When members / staff are trying to install members app on their IPhone's they are required to trust Entire Software before they can install the app. These trust settings are under - Profile and Device management under general settings on the IPhone. But, as updates are being released, Apple keeps on changing its settings and sometimes it gets difficult for user to find where a particular setting is gone. 2. Login with your apple id here. 4. 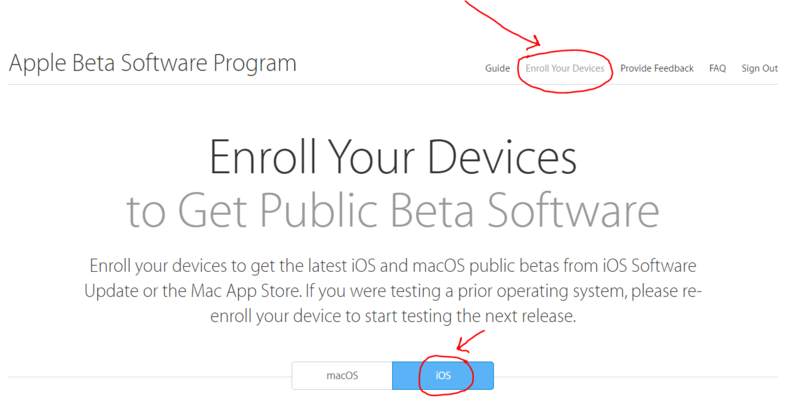 Click on Enroll your devices, select iOS as shown below. 5. Scroll down to Download Profile and click "Download Profile"
6. Enter your pass code to install the profile, your phone will be restarted. 7. Now download the app from address given to you by your recruitment agency, if you have not already done so. 8. Once downloaded you will be asked to trust this app. Go to settings > General > you can now see Profiles and Device Management, tap it and here you will find "Entire Software Pty Ltd", trust it and you are good to go.